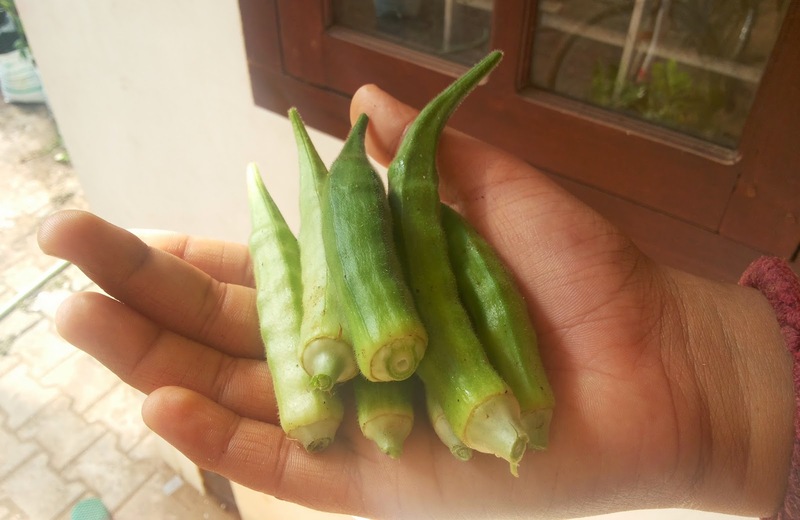 This was prepared from the Bendi (lady’s finger) grown in my own small patch of Organic kitchen garden. 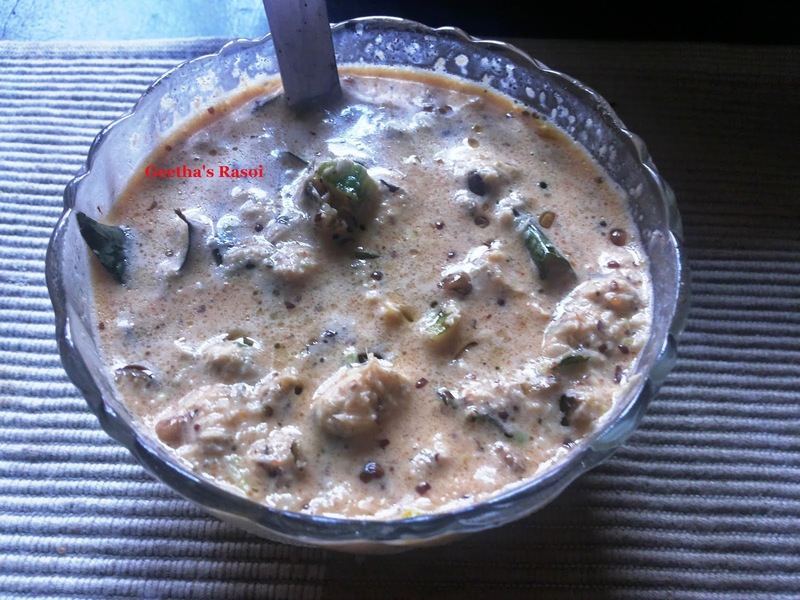 The first product of my garden was bendi and here I tried my own version of Sasam-a simple side dish for rice. I feel very much refreshed every morning on entering my garden and after nurturing my plants I go to my routine works. Wash the lady’s fingers and dry them with kitchen towel and chop them finely into small pieces. Heat 1 tbsp oil in kadai, add chopped lady’s fingers fry till light brown add curry leaves fry for a while. Add little salt and Keep aside. Grind red chilly, grated coconut, curd and mustard into coarse paste. Add this paste to the fried lady’s fingers and mix well. Benda Sasam is ready to serve with hot steaming rice.